High-value ring winners will reveal a "Winning Ticket" inside a Charmed Aroma product that contains a unique code. They will redeem the code and will receive the ring with a certificate of appraisal indicating the ring's value. For insurance purposes, these rings are sent separately. 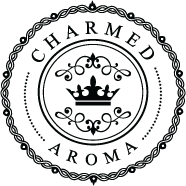 Charmed Aroma also runs a campaign called "Surprise Sunday" where customers who purchase within a two-week timeframe are entered to win a high-valued ring featured on our homepage. High-valued rings are valued up to $5000 and come with a certificate of authenticity.